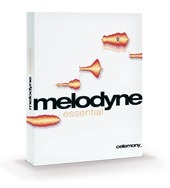 Melodyne Essential, Digital Audio Editor from Celemony in the Melodyne series. PaulyPaul's review"It does have its limits"
Celemony Melodyne Essential is an affordable plug in that can work with your Windows and your Mac systems, it is good to work on both 32 and 64 bit systems and you can use it as a VST plug in for whichever DAW or workstation program you choose. The manual comes with it and it is in 5 different languages including English, French, German, Japanese, and Spanish. When using Celemony Melodyne you can use it for pitch correction which is also known as pitch shifting. If you are using Melodyne Essential to a single sound, like a voice or a single bass instrument it will allow you to really get the most out of the VST. You can then change the pitch and change the position of each individual note. Celemoney Melodyne Essentials is very affordable but it is not the best VST or pitch correction tool from Melodyne. They have other similar programs that are better with more features and the ability to get in depth with your sounds and pitch correction. But these other programs cost a lot more then Melodyne Essential. Melodyne Essential will leave you feeling like you need to do more, but it just doesn’t do more because it is the Essential version. You will need and want to eventually upgrade to the full version of Melodyne. It is a great plug in for someone who is just learning to use pitch correction software. Or if you are on a small budget and can not afford the full version. But there are other pitch correction tools like Auto Tune Evo which will give you better options and it is more user friendly. I prefer Evo when it comes to pitch correction. Melodyne Essential kind of turned into a waste of money to me because after a few weeks it got boring and couldn’t perform all of the actions that I wanted it to. I have been using Melodyne for a year, and it never gave any problems as far as being compatible to my system. I have not had any crashes with this VST and it worked great in Pro Tools and with Reason. mooseherman's review"Awesome program, but demanding of CPU power"
Melodyne is an audio processing/editing software that is actually quite remarkable in its versatility and application. It can pitch-correct monophonic as well as polyphonic pieces of music and can do so with startling accuracy. 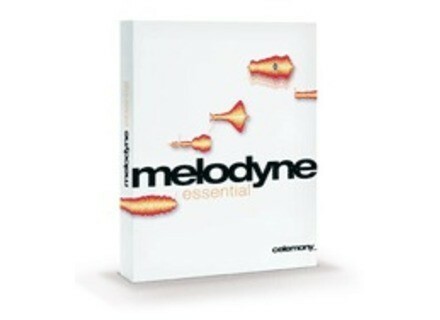 This version (Melodyne Essential) came with my Digi 003 hardware and Pro Tools LE 8 software bundle. It took some time to get the program downloaded from the website but after awhile I had it up and running. There are a lot of features with Melodyne so it took me a while to figure out how to use it, btu the videos were very detailed and informative so there were no lingering questions or confusion. The software had a lot of issues running on my Pro Tools LE setup. I have a Macbook Pro with 4 GB of ram and I have yet to run Melodyne on a session where it doesn't freeze up playback or even freeze the Pro Tools session. This is probably just because of the high processing power necessary to run the software. It has actually required me to run the software on tracks in different sessions, which has given me an unnecessary amount of work added to my load. This has generally discouraged me from using the software. I've tried adjusting the amount of CPU power that my computer can use at one time but I still get issues regardless. I like the program itself a whole lot. The way that it can not only correct pitches, but change them entirely is remarkable. I'm amazed at how well it'll process a vocal line without giving it too much of that T-Pain, mainstream Top 40 Auto-tune sound. It allowed me to really take my music into some crazy directions. It can even take a guitar chord and change individual notes within the chord. It's a shame that it takes more processing power than my computer can give. This makes it really difficult to use in sessions, even if it is a new session with minimal extra plug-ins used. I'm sure with a full sized iMac or a desktop PC it could run better but it's a shame that I can't use it at home, considering that's where I really want to experiment with it. A huge disappointment that I can't quite figure out how to correct. -Livingroom-'s review (This content has been automatically translated from French)" Very effeicace, but unstable"
I have integrated studio one 2 pro software, once you understand where is the embed code, installation is easy. There is not much to configure, since this version of the software offers essential and designers have thought about integrating tips directly launch the software (you can tick a box to not see them), so I think no need for manual, everything is very clear. Pc Aspire 5750ZG (6GB RAM, CPU Intel Core 2.2Ghz), DAW Presonus Studio One 2 Professional, a Presonus AudioBox 22 VSL interface for gear. The software was relatively stable, but lately it has a tendency to "heavy crash", ie it does not run, crashes SO, then we can not restart the last backup of the song, since Melodyne remains 0% loaded. This earned me the loss of half a day's work, if you have any assumptions that could fix that I'm interested. However, when everything works, this is a very nice software. I use it for a year, sometimes for the edit, mostly for the melodic correction therefore rarely (usually when I forgot to retune me ^ ^ "). Cautions for use the edit, the results can be surprising, and not always in the right direction, the machine being ultra efficient, the results are not necessarily musical. Having tested the editor version of the quality of the software is no longer show, but I hope that the next updates the stabilize.